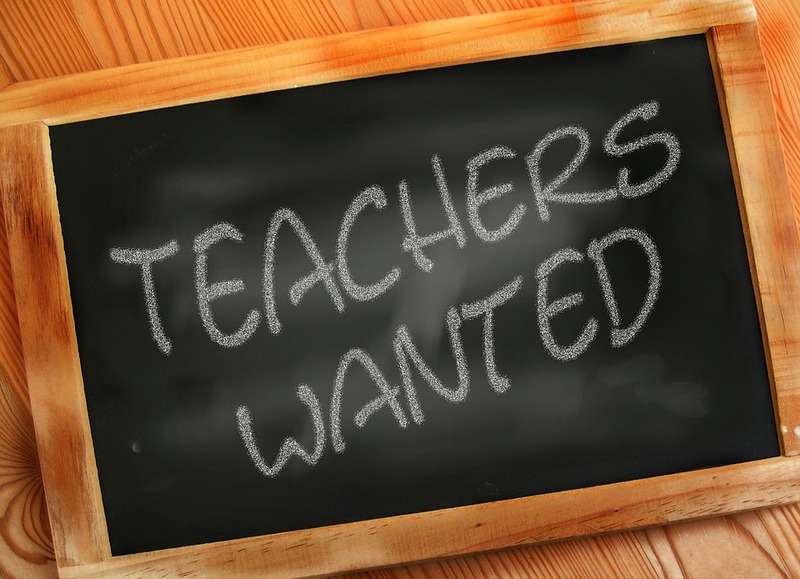 I published a blog post late last month questioning the numbers in a recent paper on teacher shortages from the Learning Policy Institute (LPI). After speaking with Linda Darling-Hammond, one of the report’s authors, and reading their written rebuttal, I have a clearer sense of what they did and why their numbers seemed off to me. In this report, we use a theoretical framework of supply and demand that defines a teacher shortage as an inadequate quantity of qualified individuals willing to offer their services under prevailing wages and conditions. The last part is key. What they mean by “individuals willing to offer their services under prevailing wages” essentially means “people who will be hired as teachers.” They have no data on job applicants or anyone’s desire or willingness to teach. They do attempt to include people who delay entry into the teaching profession, but their assumptions lead them to exclude almost all of the people who train to become teachers who never land a teaching job. It’s easy to see the flaws in this estimate. There’s a surplus of 90 people each year who trained to become teachers but are unable to find immediate jobs (100 candidates minus 10 who land a job right away). Who knows what sort of wages or working conditions they would have accepted, but these are people who just completed a teacher training program; it’s fair to assume they did want to become teachers. Under LPI’s definition, it doesn’t matter how many people complete a teacher training program at all. Whether there are 100 completers or 1,000, LPI would hold the supply constant at the number of people who find jobs (15 in this case). Second, this dramatic undercounting led me astray in my post, because LPI’s estimates for the total supply in a given year are so low that they nearly match just the number of people who complete a program in that year. For example, we know from federal data there were 223,000 people who completed a teacher program in 2008 (see Figure 2.4 here). From another federal data source, we know that school districts hired about 92,500 recent graduates that same year. * That’s a “surplus” of almost 130,000 people, even as most “new” hires are people who are returning to teaching or who graduated in prior years. Many of the new graduates who can’t find jobs surely stop looking over time, but that doesn’t mean they were “unwilling” to teach. In fact, we’ve had surpluses like this over and over for at least 30 years (see Figure 2 here). LPI’s definition of “supply” significantly under-counts the number of people who potentially could fill a teaching position. In 2009, for example, they list the total supply as only around 260,000, barely above the number of new completers (220,000) in that same year. That’s because they’re assuming away almost all of the surplus from 2008 (and all the years before that). Presto chango, their assumptions turn a surplus into a shortage. Now, I commend LPI for highlighting an important issue. As you can surely tell by now, it’s no easy feat to unpack all these numbers. But that brings me to my third point: LPI did a disservice by trying to come up with national figures at all. Their state-level reports are better, but they still don’t drill down into specific subject areas. There is no generic “teacher” labor market. National or even statewide totals simply aren’t relevant to any particular school district that needs to hire four elementary teachers, two reading specialists, one physics teacher, etc. LPI wrote about these state and subject-area distinctions in their 107-page report, but they fed the “teacher shortage” narrative with their provocative title and graphics. The national media naturally flocked to those findings, but LPI could have avoided controversy by sticking to numbers for specific fields and geographic locations, as we did in our report on the teacher labor market in Illinois. This distinction is also driving some of the confusion around LPI’s numbers. What they see as people “unwilling to offer their services under prevailing wages” could just be a mismatch between the types of teachers prepared and the types of jobs available. That’s a serious issue, but we can’t solve it by talking about national totals. *Ideally we’d look at teachers graduating in 2006-7 versus new hires in 2007-8, but the data sources don’t match up perfectly. This entry was posted in State Education Policy, Teacher Effectiveness and tagged Dan Goldhaber, Learning Policy Institute, Linda Darling-Hammond, Mike Antonucci, Teacher hiring, Teacher Preparation, teacher shortage on October 12, 2016 by Chad Aldeman.